It takes the power of God to produce the character of God.Putting others’ needs ahead of our own: it’s the ultimate expression of love—and the hardest. Fortunately, we don’t have to go it alone. 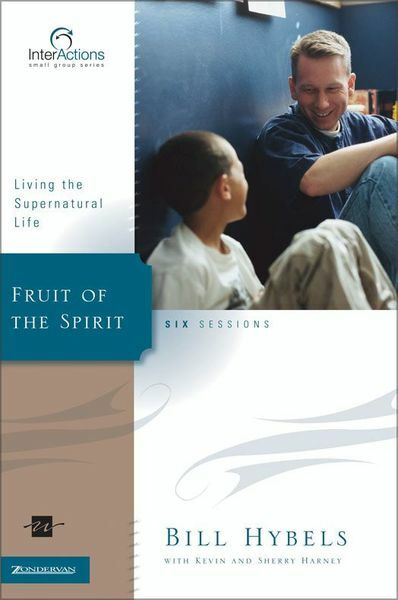 In Fruit of the Spirit, you’ll learn about the life-transforming qualities God wants to cultivate inside you. And you’ll discover the supernatural Agent who empowers you to attain them: the Holy Spirit, working within you to produce each kind of spiritual “fruit.”In the Holy Spirit’s power, you can live a supernatural life that transforms every relationship you have. And in the process, you’ll discover the one route to a truly satisfying life: serving others.Interactions—a powerful and challenging tool for building deep relationships between you and your group members, and you and God. Interactions is far more than another group Bible study. It's a cutting-edge series designed to help small group participants develop into fully devoted followers of Christ.